I love the golden hues of the trees in autumn but as we approach late October and the last Sunday, officially the end of British Summer Time, a different pace kicks in, the sky seems to lower and the colours change again. 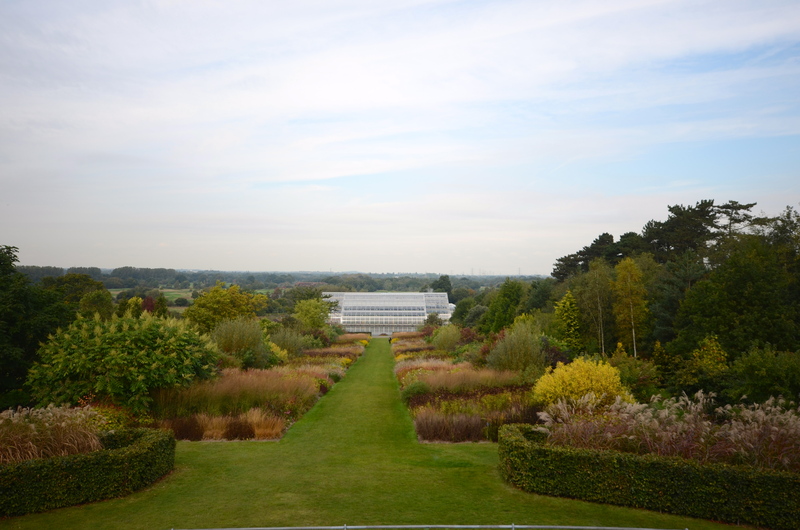 The is a picture of The Glasshouse Borders at RHS Wisley, it’s grasses demonstrating the bleached out palette of early winter to some effect. Muted and subdued perhaps but nonetheless glorious. If only I could get used to the camera!